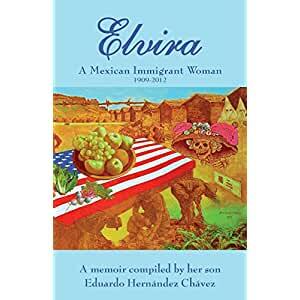 Former Scottsbluff resident, Eduardo Hernandez Chávezas, will be in town and available at the West Nebraska Family Research & History Center on Saturday, June 30th at 10:00am to sign and discuss his book, Elvira: A Mexican Immigrant Woman. The memoir is the intriguing personal story of Elvira C. Hernandez (nee Elvira Chavez), a girl whose family fled Chalchihuites, Zacatecas in 1916, at the height of the Mexican Revolution, seeking safety in a land once alien, now native. Ever intent on finding a more gainful life, Elvira’s father uprooted his family, moving them to Scottsbluff, NE. Elvira was to live in Scottsbluff for the rest of her life. You won’t want to miss her story!